Forest display from 5th US National Bonsai Exhibition. Juniper forest on steel slab with mossed steel mountain accessory planting. 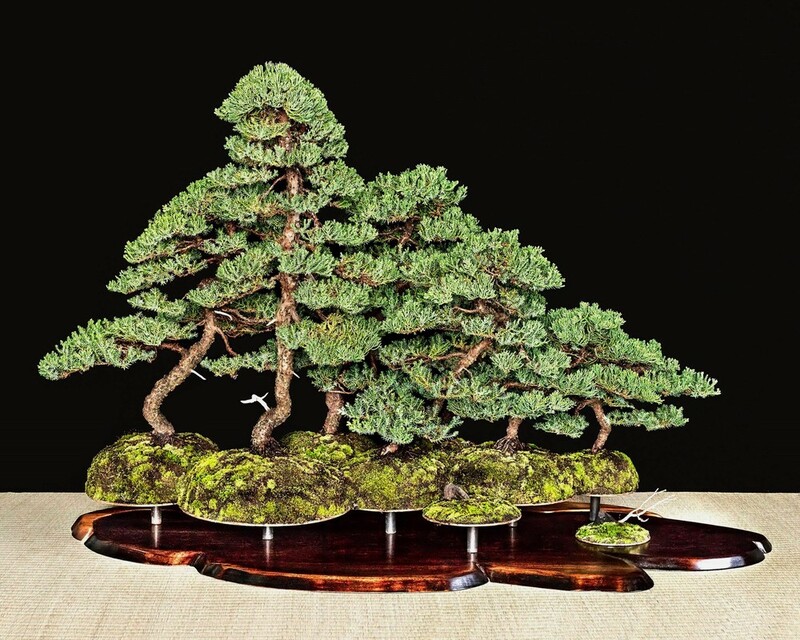 Juniper on hand made wave stand at the 5th US National Exhibition. Close up of Juniper on hand made wave stand. 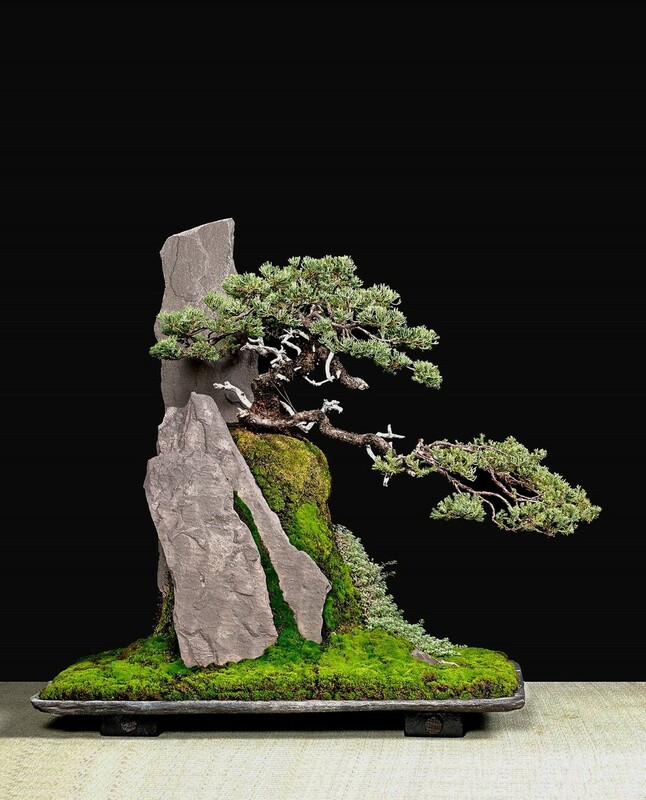 Restyling work on a Procumbens Juniper.